Cypress Creek Inn will be opened for dinner on Girl’s Night Out from 5:00 until 9:00 p.m. We will have a limited menu so that everyone can come in, enjoy a lighter meal with their friends and continue shopping at the participating shops in Comfort. The shops will be open from 4:00 until 9:00 p.m. This is a great opportunity to start your Christmas shopping early!! We hope to see you at Cypress Creek Inn Restaurant located at 408 Hwy 27 Comfort. 830.995.3977. This weekend (October 15,16) the Comfort Village Fall Antiques Show will be held at the Comfort Park!!! Bring your friends out and make a day or a weekend out of shopping, eating and visiting. Come see what Comfort has to offer. 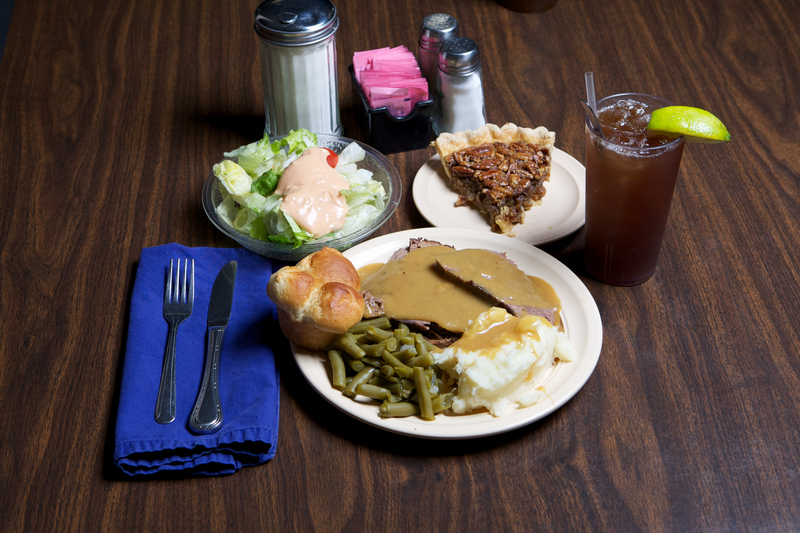 While you are here, stop by Cypress Creek Inn Restaurant for a good home cooked meal. Saturday the Lunch and Dinner Special will be our very popular Meat Loaf!! Sunday’s special will the the even more popular Turkey and Dressing or Baked Ham with raisin sauce. It’s time for us to start baking Fall Desserts. We will have Pumpkin Pie as well as Chocolate-Pecan Pie! While you are in town be sure to visit the Antique show as well as the rest of the local establishments. There is a variety of shops along Hwy 27 as well as in downtown historic Comfort. If you like wine, be sure to check out the local wineries. There is something for everyone. Stay at one of our B&B’s and if not on this trip, be sure to make reservations for another weekend getaway. If that’s not all, we have a Scarecrow invasion starting this weekend and the participating homes and businesses will have the scarecrows up until Nov. 2nd. I will posting blogs on upcoming events in the Comfort area so keep checking for updates by subscribing to the blog! Here are only a fraction of the photos from the Beautiful wedding. Enjoy. Lillian Bloom (Bargh) asked us to do her engagement photos at the Serengeti a couple of weeks before the wedding. The wedding was on October 1st and we didn’t want to show the bridal photos until after the ceremony. I am now happy to share the photos for everyone to see and enjoy. She was a joy to work with and we were all thrilled with the results. She is absolutely Gorgeous. Thanks go to Ken from Kenny D. Photography and Jerry Stock for helping out with this engagement session. If anyone is looking for a Wedding venue, please be sure and contact the Serengeti Resort in Bergheim, TX. If anyone is looking for a photographer for any occasion please contact Images By Sergio in Comfort, TX. If you are looking for a place to enjoy a home cooked meal on Sundays, keep Cypress Creek Inn Restaurant in mind. The Specials are served with a choice of meat, a dinner salad, 2 side veggies, dinner roll, and iced tea or coffee. Check the Cypress Creek Inn website (link to the right) for our Sunday Menu. It is a great place to entertain your friends after church or if you are out on a leisurely Sunday drive in the Hill Country. Here is a photo of a complete Roast Beef meal. Here is a video slideshow of the Miss Comfort Pageant from this past Sunday. Hope you enjoy it. I just want to remind everyone and let our new customers know that we still serve our Turkey Dinners the First and Third Sunday of every month. We oven Roast the Turkeys here at the restaurant and serve them with all the trimmings. The Dinners are $10.50 and come with dressing and 2 side veggies as well as a dinner salad, coffee or tea and dessert! Yes, all for $10.50. We have other items on the Menu as well. Our popular Chicken fried Steak and Chicken Fried Chicken is always a crowd pleaser. On Sunday, our hours are 11:30 until 2:30 for lunch only.